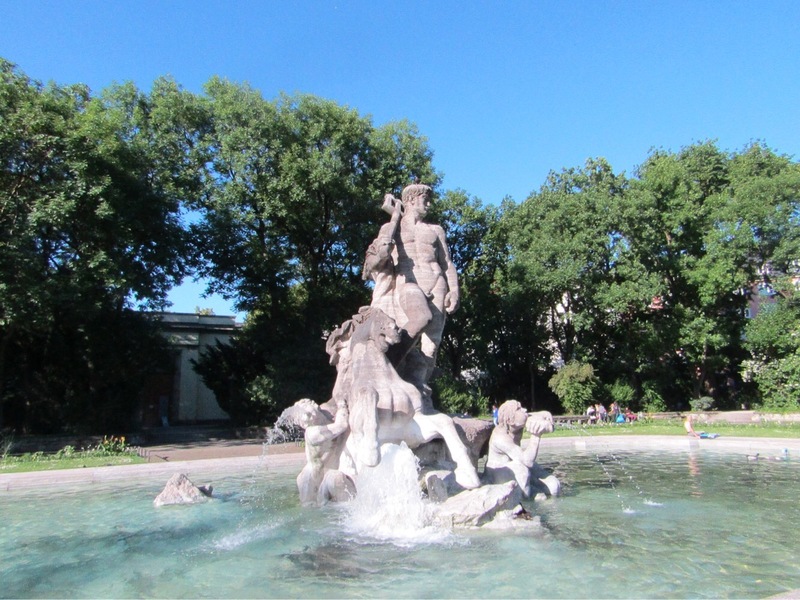 I’m here again with another travel/city guide, this time with one of my favourites from my interrail trip, and a place I really had no expectations of before arrival. 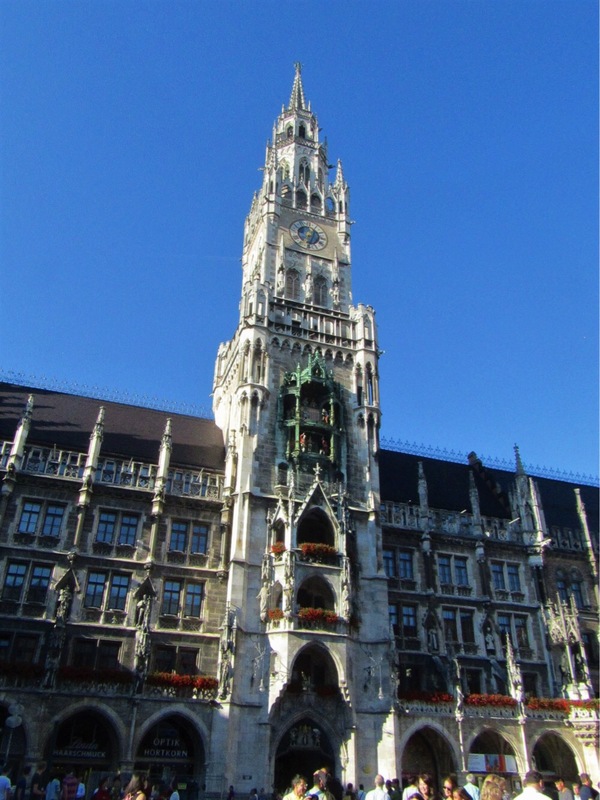 Despite being the third largest city in Germany, I really knew as much about Munich as I do about the history of the tea towel. A very limited amount. 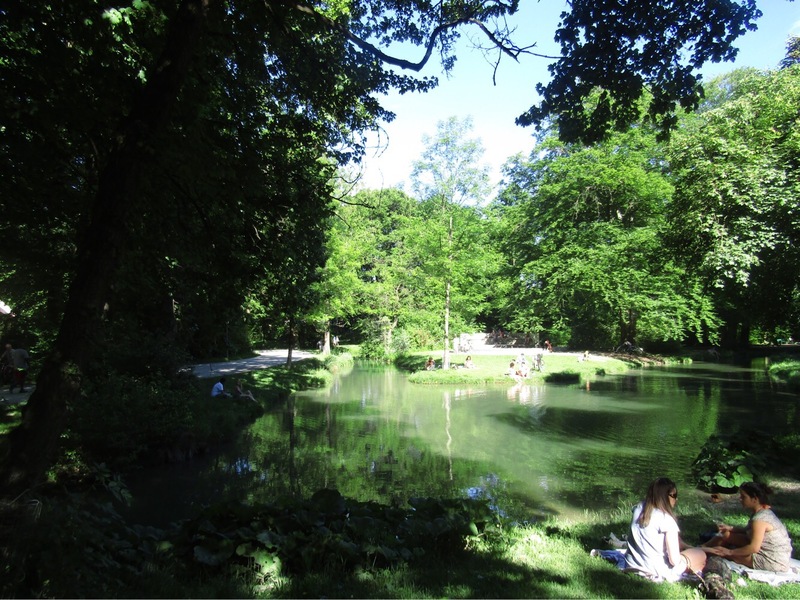 Despite this, Munich really enthralled me and has made it a definite spot on my ‘must return to’ list. First of, Munich is stunning. 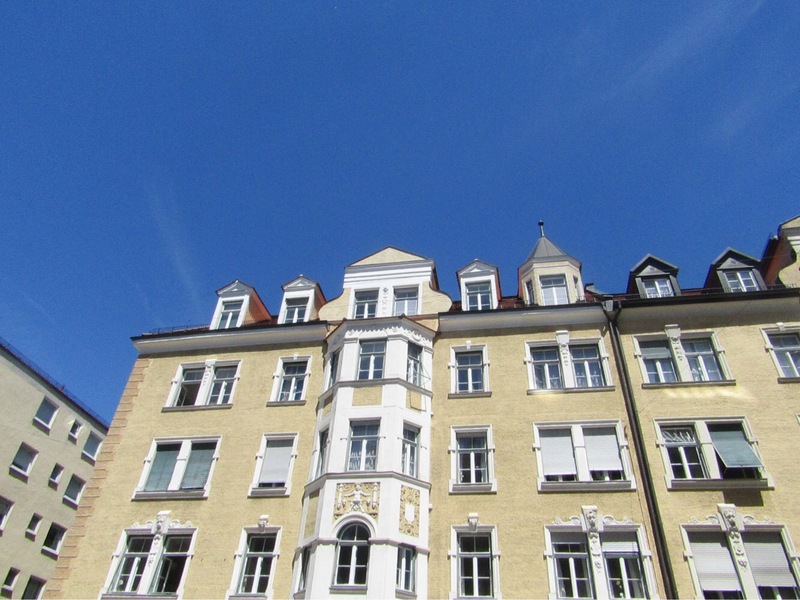 The buildings are stupidly beautiful and eye catching, from the grandeur of Marienplatz (pictured above), to the streets lined with candy coloured apartment blocks and bakeries. 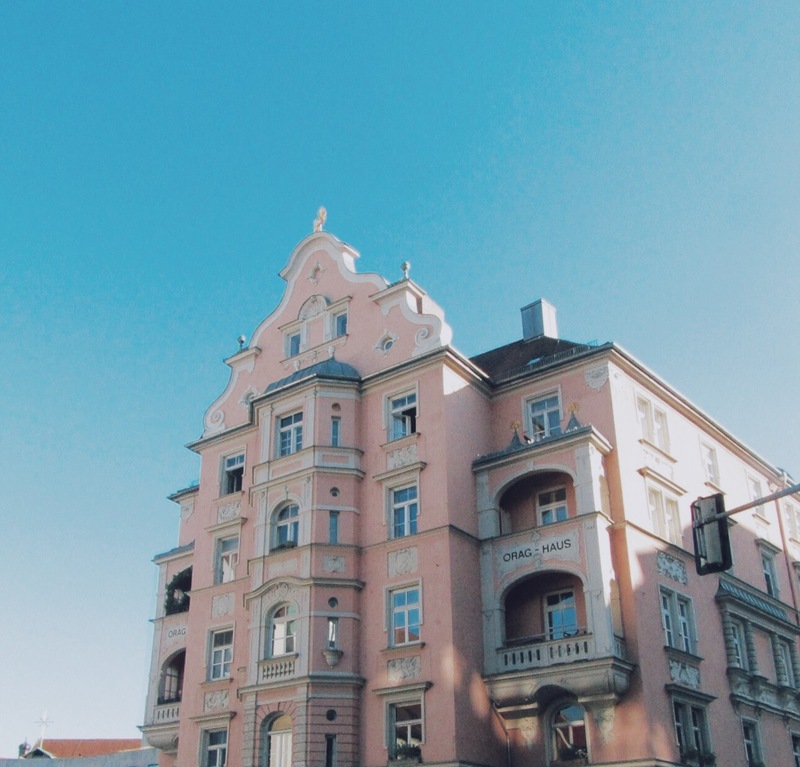 Some of which make you feel like you have stepped into a Wes Anderson film. 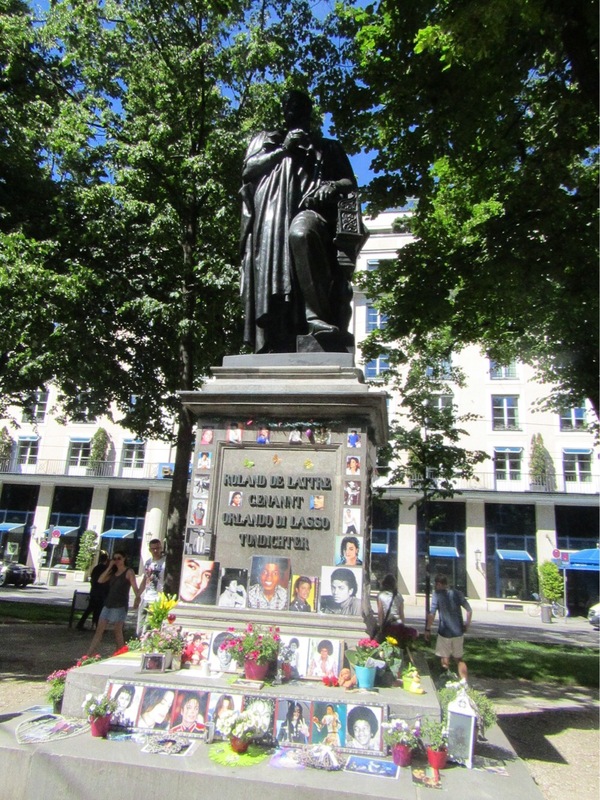 Another, rather bizarre, attraction that we stumbled across was the Michael Jackson memorial. 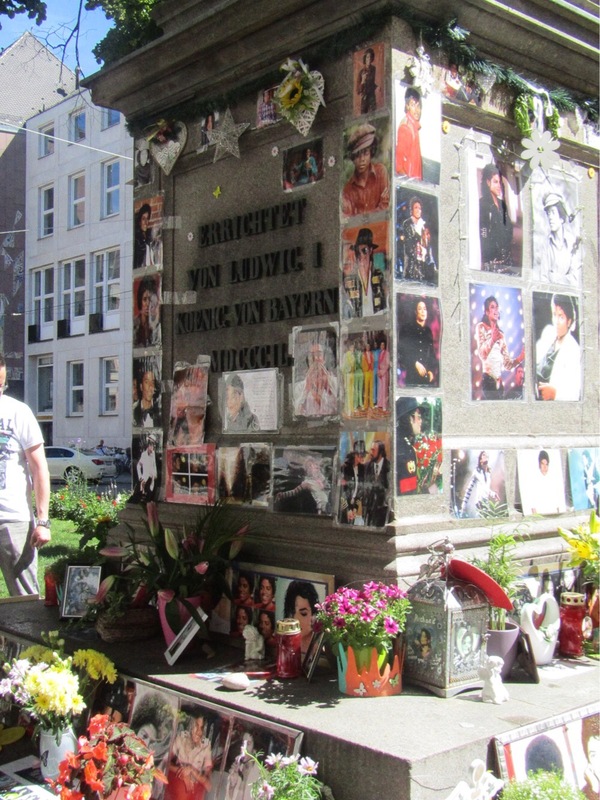 It’s grown since the King of pop’s death back in 2008, and was a highly unexpected sighting when wandering around a German city centre! 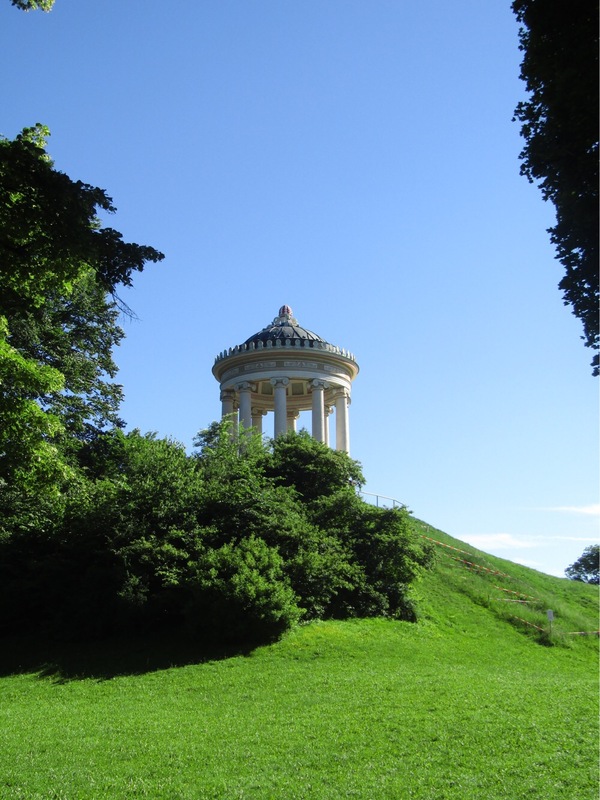 Our time in Munich was very luckily met with blue skies and glorious sunshine, so we decided to spend our Sunday in the English Garten. 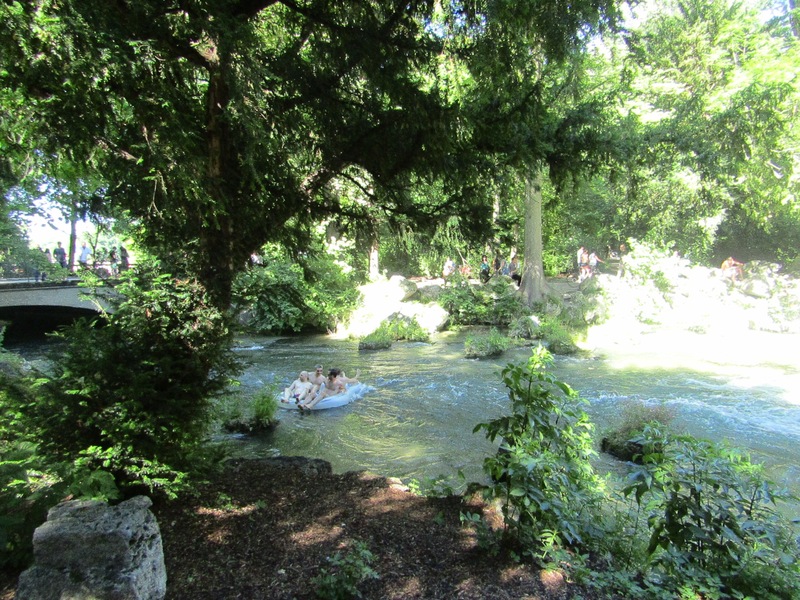 The English Garten is a beautiful park filled with winding cycle paths, little streams, a surfing river, a Japanese teahouse and even a rickshaw that carries dogs?! 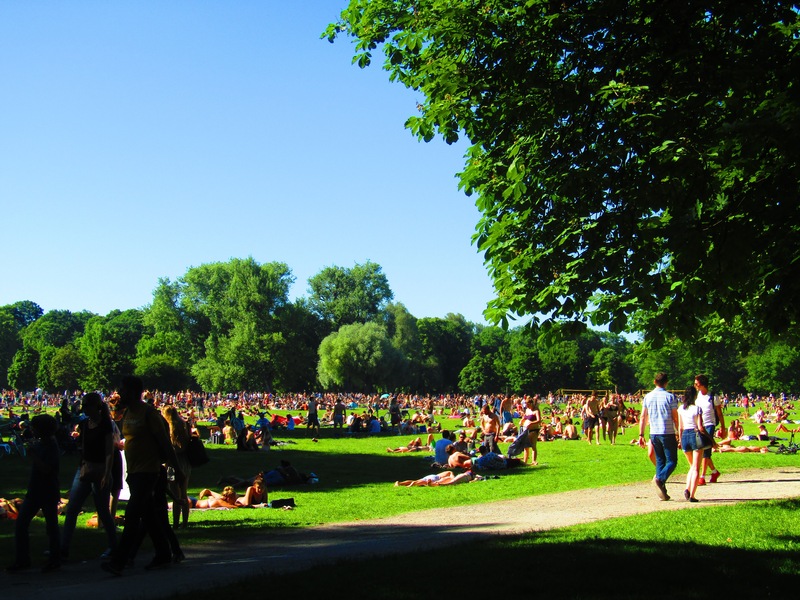 It’s a lovely spot where alongside sunbathing, you are available to buy food and drink listen to live bands and really soak up the lively atmosphere. Jack also managed to soak up a Stein of beer and a pretzel the size of his head!! 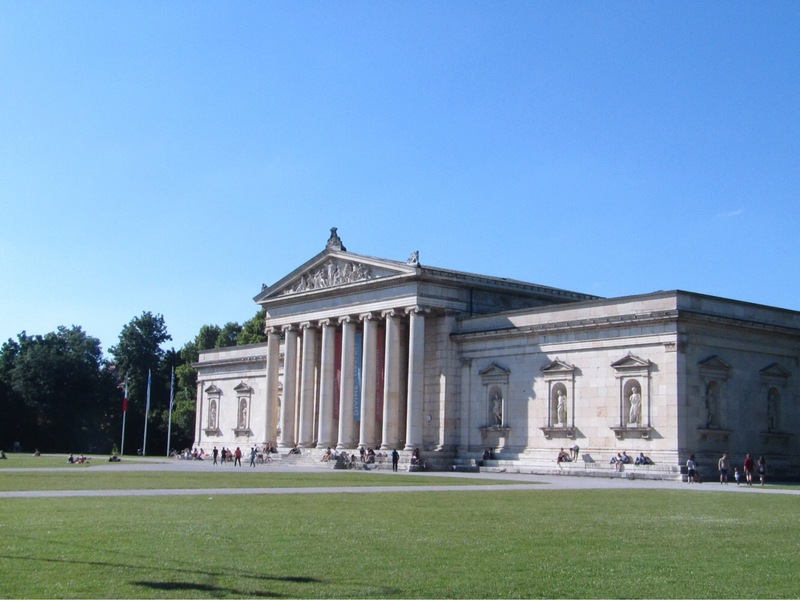 Munich is also home to a range of museums which offer €1 entry on Sunday’s (and are reasonably priced the rest of the week). We opted to visit the state museum of Egyptian Art. The museum’s collection was expansive, and the exhibitions were informative without being excessive. If like me, you’re a bit of an Ancient History nerd you’ll love it! 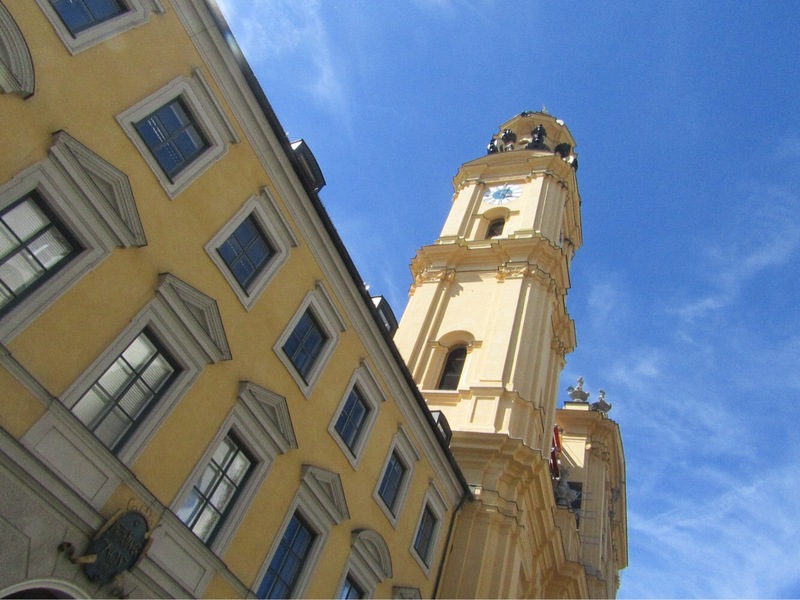 Throughout our 48 hours in Munich we sampled a number of cool places to eat and drink. 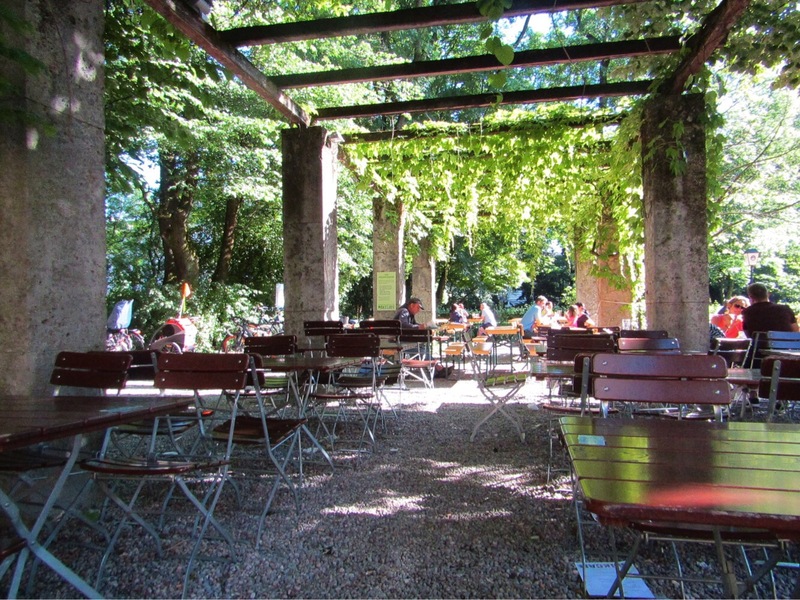 For a large lunch we went to Speisen & Getranke, which was about a 25 mins walk from where we were staying in Frederics serviced apartments. 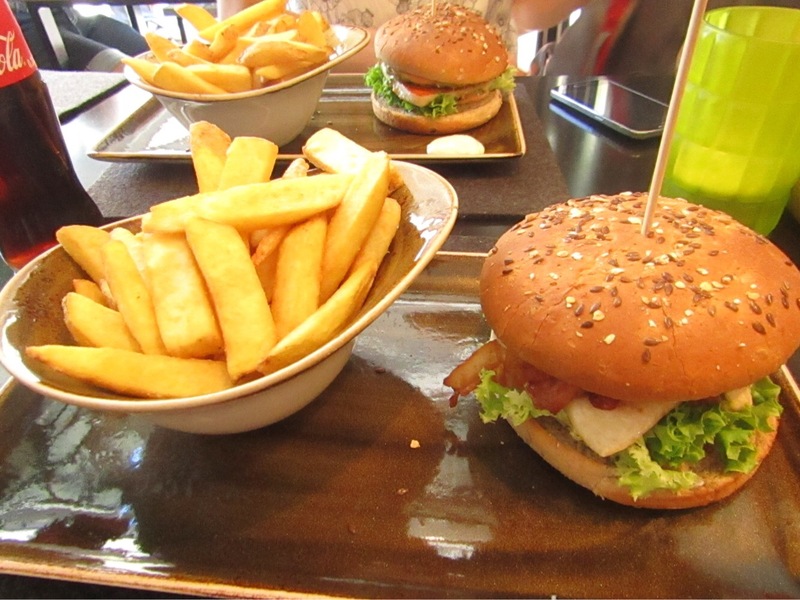 There we both ordered chicken burgers, which were delicious and the service was top notch. 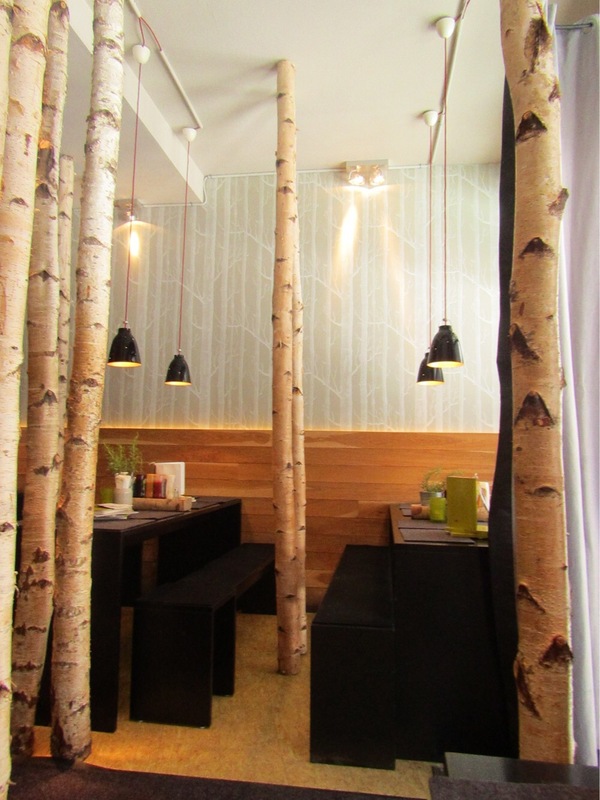 Apparently they also have a branch in Berlin, so if you’re about and fancy a fairly priced delicious burger, check’em out! For dinner the previous night, we ate at Ja Mai, a Vietnamese restaurant which was super cosy, seating only 18 people. They did amazing Pho and huge tasty spring rolls. I didn’t get any pictures because I was too busy stuffing my face but I’d definitely recommend, as the food and the service was great! 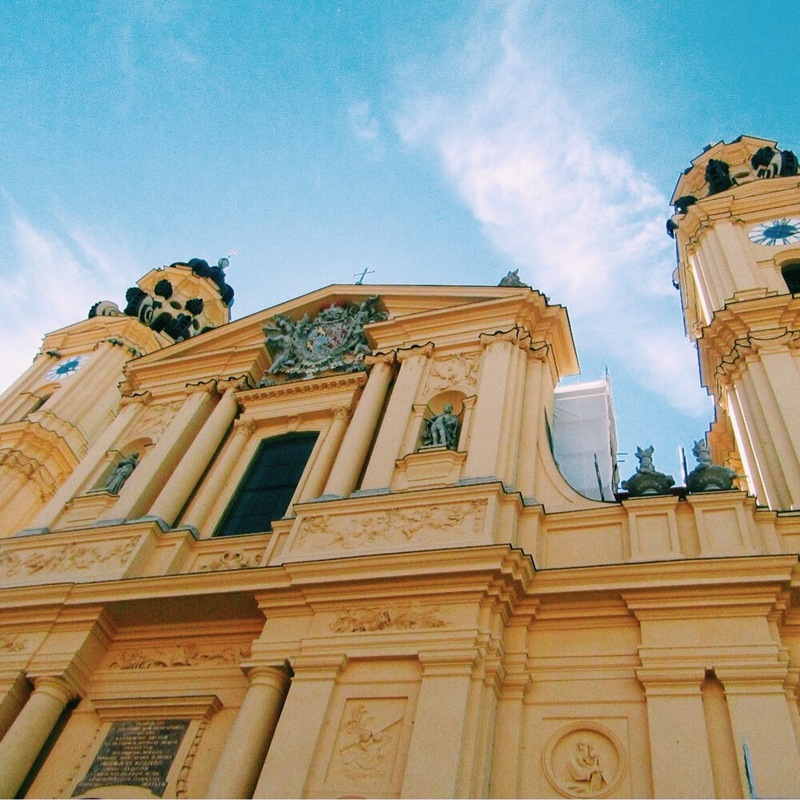 Munich was incredible, and it has so much more to offer that I hope to experience and see! If you are planning an interrail trip I highly recommend stopping off there. 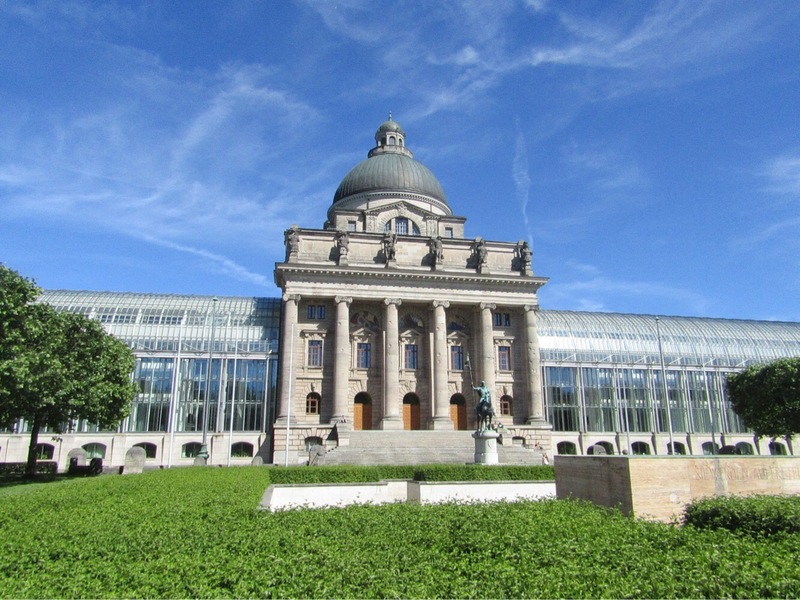 I truly love Berlin, but Munich definitely offers something wholly unique and is worth a visit!